Shop signed England football memorabilia including autographed England shirts and photographs. Most items have photo proof of the player signing! All items come with a certificate of authenticity, free UK delivery and worldwide shipping! Football, the beautiful game, originated here in England in the late 1800s. As football (soccer) and rugby football branched off and went their separate ways, the Football Association of England (now known as the FA) was born. At this point, the rules and regulations of the game as we now know it were set, and they remain largely unchanged today. Despite being the birthplace of the sport, England has received a mixed reception on the world stage over the years. The nation’s spectators have watched through their fingers as goals have been narrowly missed and tight games have been lost to penalties. Despite this, the spirit is strong and the culture of football in Britain has never lost its sparkle or its wide-reaching support. At each tournament, thousands turn out to watch their favourite players – with several major events taking place at intervals over the years including The Fifa World Cup every 4 years and the UEFA Euros in between. Who can forget 1966 and England’s famous win over Germany in extra time? 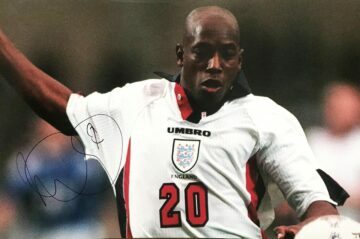 Looking for signed England football memorabilia? You’ve come to the right place. 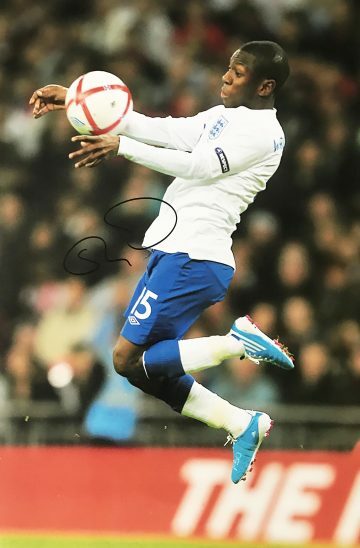 Our selection of England signed football collectables is extra special. Each piece has been carefully sourced and hand selected, featuring genuine signatures from some of England’s finest international players from past and present. 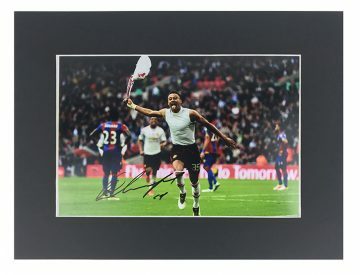 When you browse our collections you’ll find unique items including signed England international football shirts, boots, balls and photographs. The collection features items autographed by England football legends such as Alan Shearer, Peter Shilton and Paul Scholes as well as more recent players, Steven Gerrard, Jack Wilshere and Adam Lallana – they’re all here at Firma Stella. Feel the pride as you celebrate the triumphs and tribulations of our infamous three lions. 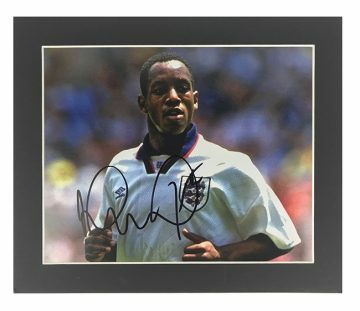 All our signed England football memorabilia comes with a certificate of authenticity so you can be sure you’re purchasing a sound investment.